Before we talk about why you should use a double-sided griddle (or why not, in some cases), we should talk about what a double-sided griddle actually is. Often referred to as a clamshell griddle, a double-sided griddle contains two different heating sources that cook on both sides of the food at once. In effect, one cooking surface can be lowered down on top of the other one, creating what looks like a clamshell effect. Clamshell griddles were created to cut cook times down, thus increasing the production levels of the griddle. At the same time, cooking is more even, sealing in flavor, juiciness, and enhancing the overall integrity of what you're looking to grill. Even cooking is the name of the game with a double-sided griddle. Another benefit operators can experience are energy efficiencies, as heat is captured within the product itself and does not escape, making recovery times quicker than standard griddles. It's also easier on labor, as burger flipping isn't necessary when the patties are cooked on both sides at the same time. 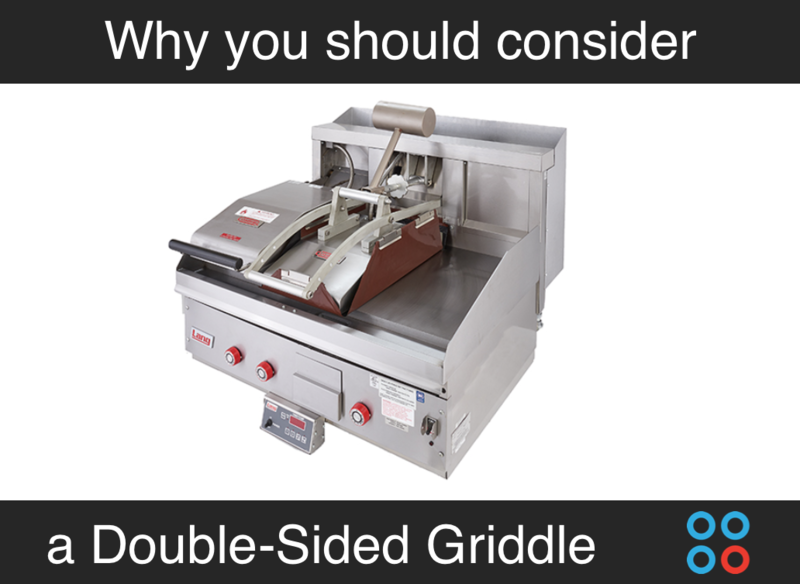 So who should use a double-sided griddle? Great question. 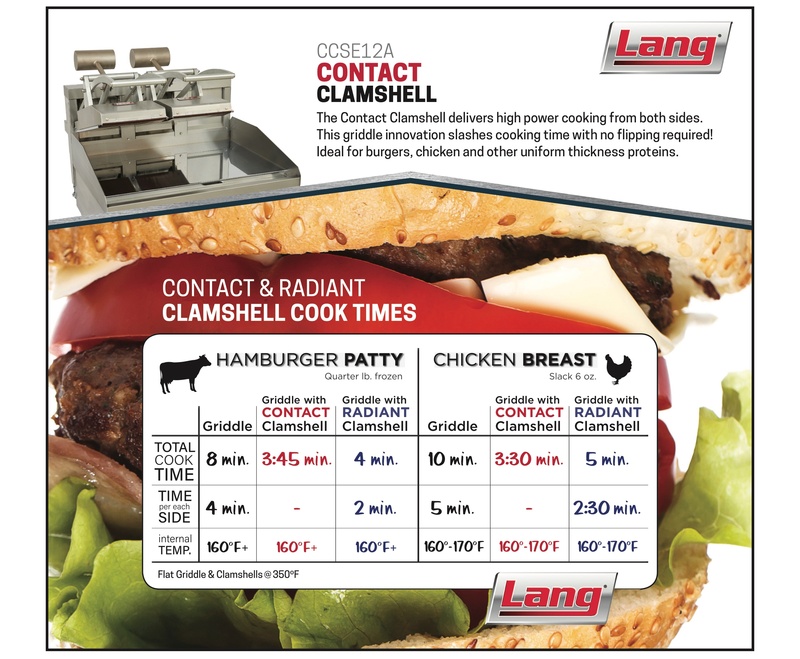 High volume operations that focus on a small range of menu items are best suited to incorporate clamshell griddles into their cooking processes, even more so when those menu items are similar in nature. Think burgers, grilled chicken breasts, steak -- anything that typically requires being flipped in traditional cooking methods. Clamshell griddles are used a lot in fast food, in quick serve restaurants, and other fast casual environments. Who wouldn't want to speed up throughput with infrared heat that rapidly browns, seals in juices, and cuts cook times in half? Not every griddle is right for the goals of your Maryland or Virginia foodservice operation. Our goal at High Sabatino is to walk you through the options available on the charts above, breaking down the pluses and minuses of each option. The result should be a narrowed set of solutions that can help you cook the menu items you're looking to serve in the right amount of time with the right energy efficiency. Schedule some time with an expert at High Sabatino to learn more.